Today (May 25, 2015) is Memorial Day. Today is when we celebrate those that made the ultimate sacrifice to defend our country both at home and abroad. If you want to see some more facts about this day, please check out “Rookie Notes”, which had an entry about how the day got started – it is really good reading. 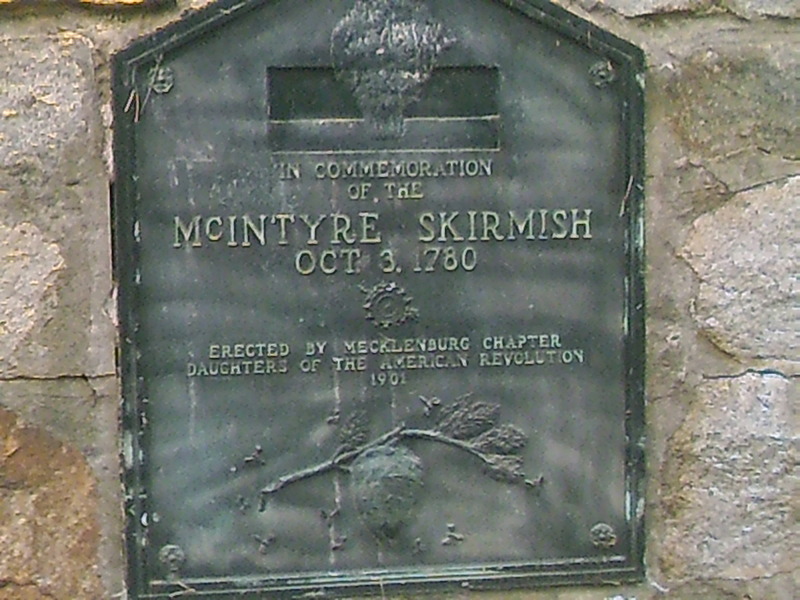 Plaque commemorating the skirmish at McIntyre’s Farm. 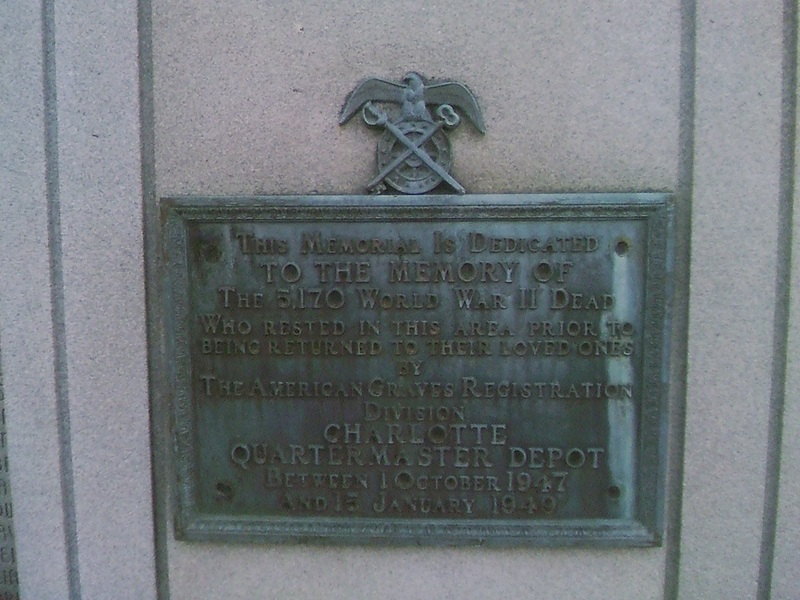 This was erected by the Mecklenburg Chapter of the Daughters of the American Revolution in 1901. Photo taken by the author. 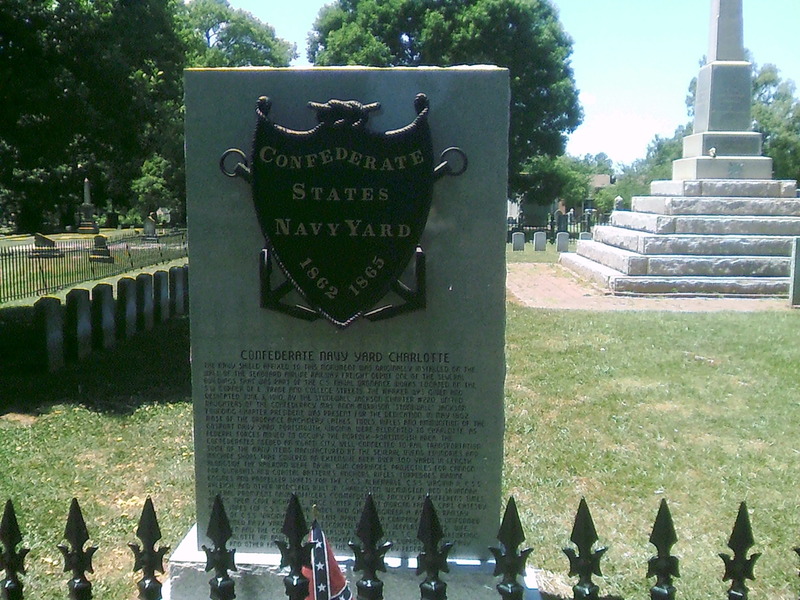 Plaque commemorating the Confederate Navy Yard. Photo taken by the author. At the entrance of the Confederate monument at Elmwood Cemetery. Photo taken by the author. 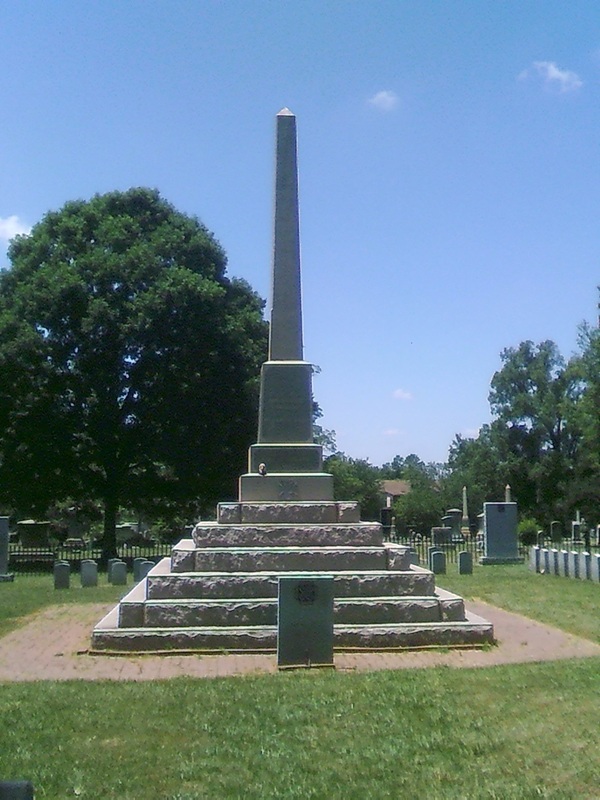 The Confederate Monument at Elmwood Cemetery. Photo taken by author. 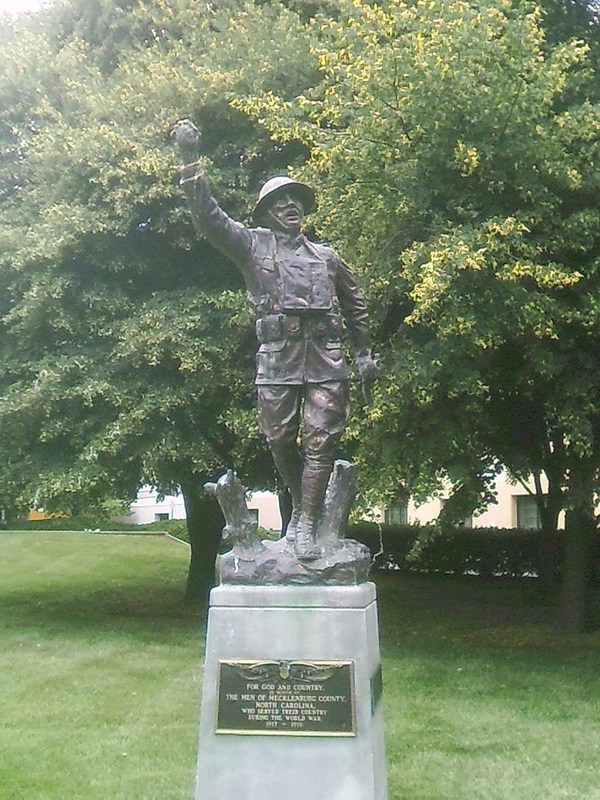 World War I Memorial dedicated in 1923. Photo taken by the author. 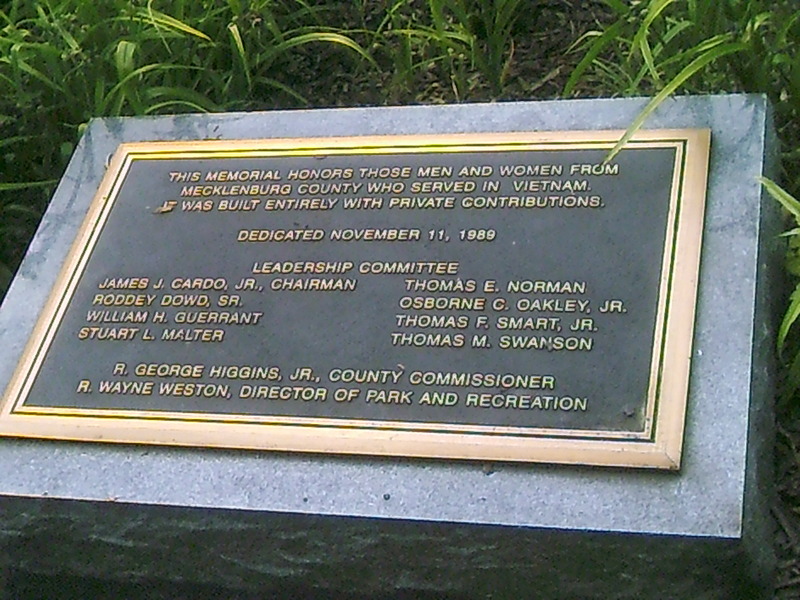 Plaque to the World War II Memorial at Evergreen Cemetery. Photo taken by the author. 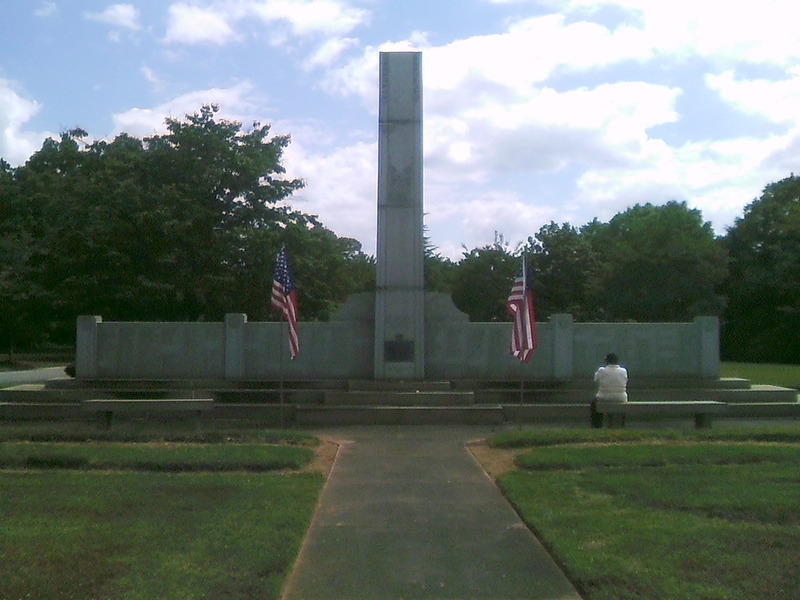 World War II Memorial at Evergreen Cemetery. Photo taken by the author. 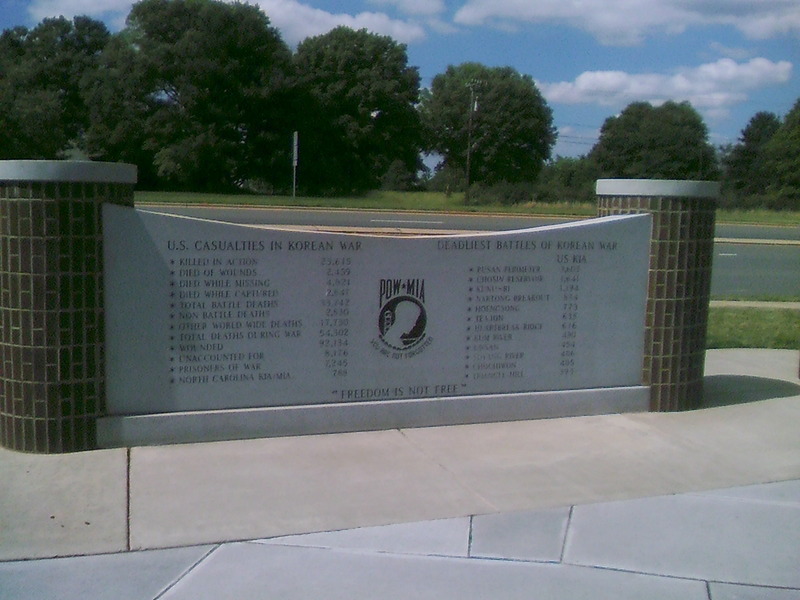 Wall at the Korean War Memorial showing the number of those KIA, MIA and the deadliest battles of the conflict. Photo taken by the author. 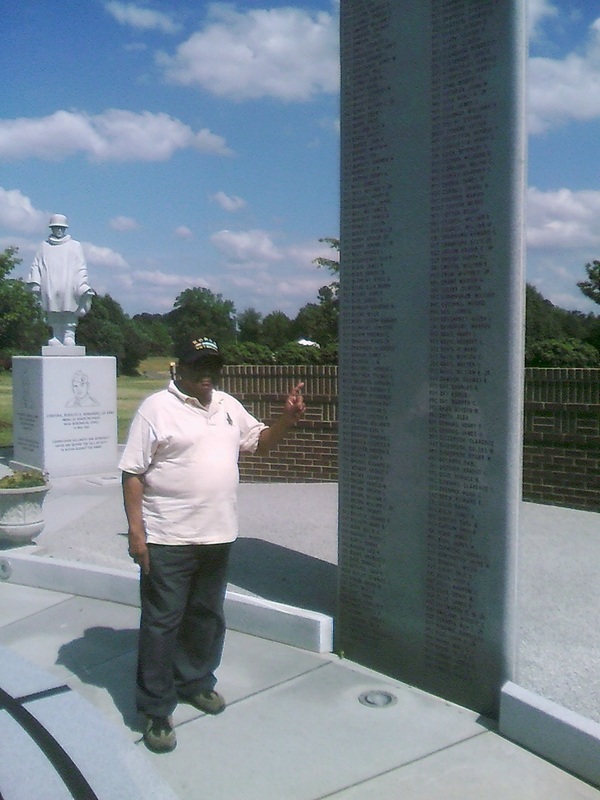 My husband at the Korean War Memorial. Photo taken by the author. Plaque at the Vietnam Memorial. Photo taken by the author. 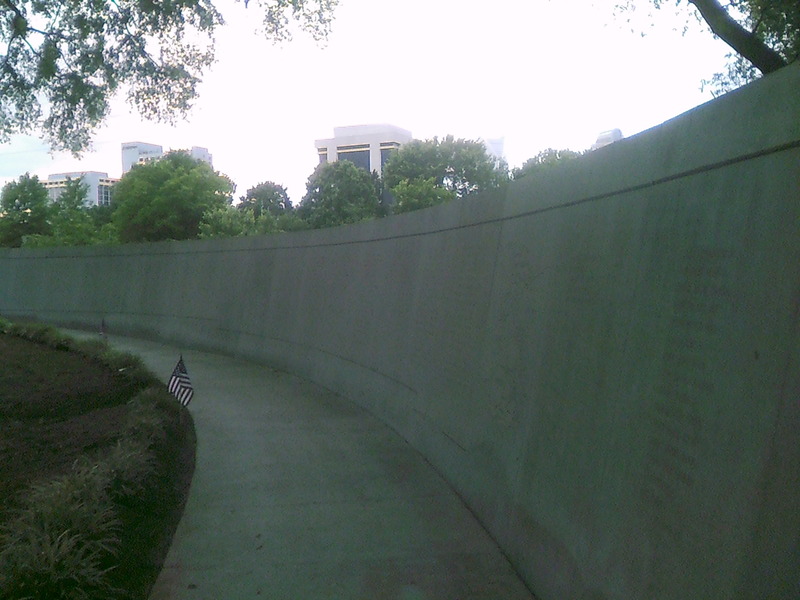 Vietnam Memorial Wall. Photo taken by the author. I hope that everyone has had a chance to reflect on the sacrifices that were made to maintain our freedom on this day, for as someone told me “Freedom isn’t free”. I have previously resided in Charlotte for 4 years, yet never got to visit any of the sites you write about. I will attribute part of that inability to visit sites in the city to the fact that I often had to travel out of town for work, since I was either over-qualified for positions in my career field; or I wouldn’t accept other offers that I saw as beneath me regarding salary. 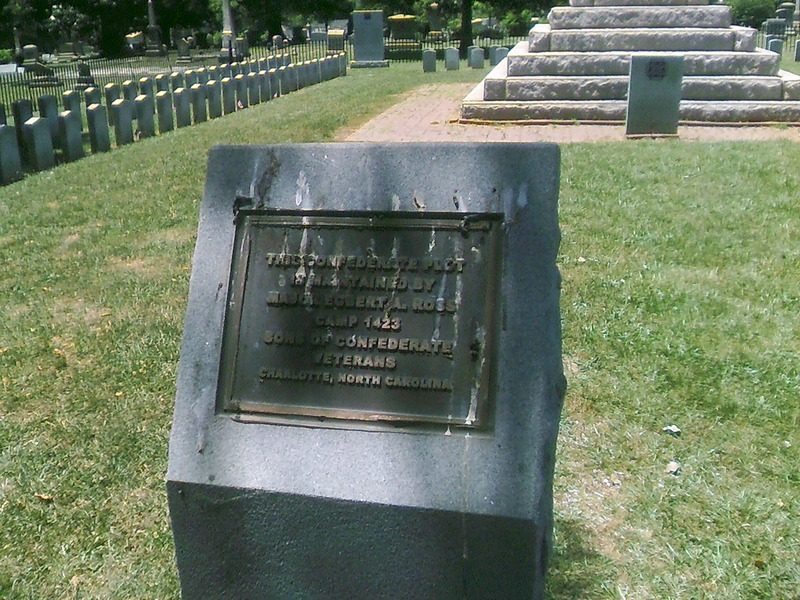 The end result is I missed out on some interesting history in the Charlotte area. Thank you for sharing it with all of us.